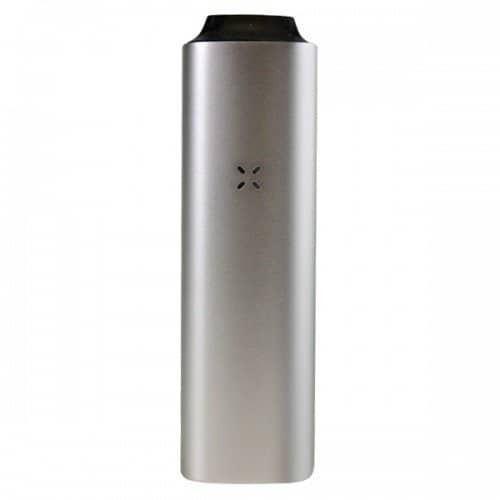 The PAX 3 portable vaporizer is considered by some vape enthusiasts to be one of the best of its kind on the market today. The PAX 3 is slick yet packs a nice punch and is a significant upgrade over the older model, the PAX 2 in that the new unit heats up even faster, has a better battery and offers a more intuitive control system. On top of its impressive features, the PAX 3 is backed by a 10-year warranty, so you know it’s built to last and provide exceptional value while delivering top-notch vaping experience for years. 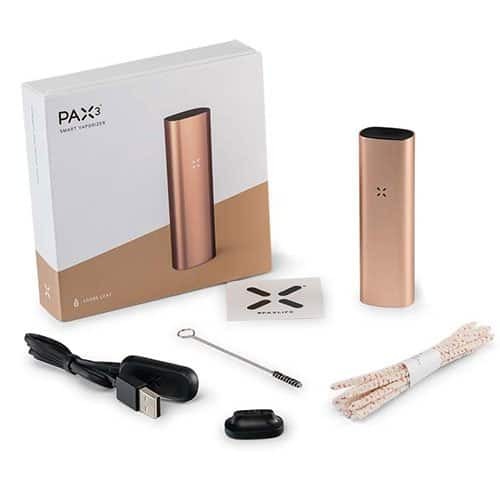 PAX 2, the model that came before the PAX 3, performed well but its metal body wasn’t the most aesthetically pleasing device you can get. 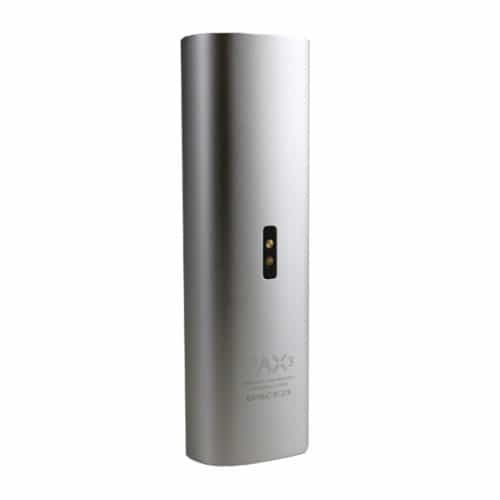 The manufacturers wanted to throw a change up with the design of the PAX 3, which is pleasing to the eye with its reflective surface and high quality aluminum body. The user experience is about as straightforward and simple to operate as you’ll find in any device of its kind with the press of a single button for both turning it on and choosing your temperature. The PAX 3 is a device that comes with no frills and no learning curve, just an elegant looking device with true vape power and pure flavor. Don’t let the beautiful simplicity and ergonomic featherweight nature of the PAX 3 fool you, though. The battery on the PAX 2 clocked in at an impressive 3000MAH. The PAX 3 comes with an even more impressive battery that is a powerful 3500MAH, meaning it heats up even faster and lasts longer. Depending on what temperature you decide to vape at, the unit is ready to go in a lightening-fast five to fifteen seconds. If you’re looking for discreet vape tokes in a short amount of time, the PAX 3 is for you. Charging the unit is just as easy as using it, and the USB charger will have the battery fully ready to go again in about an hour and a half. The impressive PAX 3 lets users select one of four preset temperatures. Depending on how you like to vape, you can pick between 360, 380, 400 and 420 degrees Fahrenheit. Preset temperatures are nothing new, but what is inventive and extremely impressive are the four different vape modes you can pick, all depending on your personal preferences and activities you find yourself engaging in that day. The four different modes are boost, efficiency, flavor and stealth. In the boost mode, the device will not cool itself down, and will keep the unit around the temperature that you select. This is exactly what you’d select if you were vaping extracts, which require vapes to reach higher temps than that of dry herbs. In the efficiency mode, the temperature climbs up little by little throughout your vaping experience, which can allow you appreciate more subtle nuances of terpene profiles that you might not otherwise notice. Stealth mode is made for the users who are looking for the most discreet vaping experience possible, as it cools the device more quickly every time you take a vape rip, which cuts down any offensive smells to a minimum and keeps you as unnoticed as possible. With the flavor mode, the device is draw-sensitive, which means it won’t start climbing up to the proper temperature until you decide to vape. This mode is the best for those looking to experience the full-bodied terpene nature of their dry herbs or concentrates. You can use the smartphone app with your PAX 3 for even more customizable heating options if you so choose, but it’s not necessary if you’re not into that kind of thing. 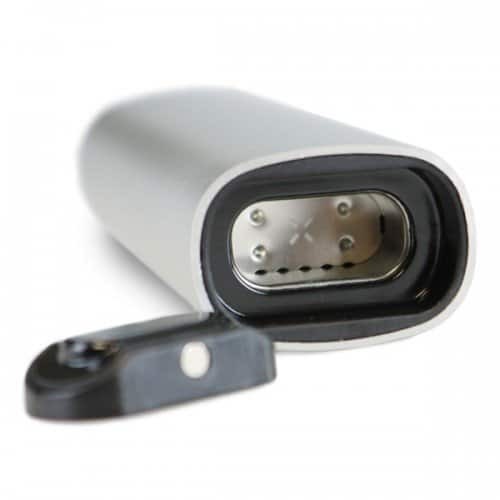 This device offers users various notifications that let you know when it’s good to go. You can keep the PAX 3 tucked away in a pocket or bag and only take it out when it vibrates to let you know it is heated to the point of being ready. Just like with the customizable temperature modes, the smartphone app that accompanies the PAX 3 lets you increase or decrease the intensity of how the unit vibrates, depending on your needs. When you’re ready for a session, just take out the bowl from the heating element and load up your herb. We recommend that you grind your dry herbs down as much as possible and fill up the device no less than half way to ensure an optimal toking experience. When it’s good and packed, just press the button once and you’ll then see a purple blinking light, which means it’s getting ready. When it’s ready to hit, you will see a green light for go. If you want to vape with extracts, just follow the same method, except use the concentrate attachment instead, and allow a few more seconds for the device to get good and hot before you take a rip. Selecting your preset temperature on the PAX 3 is simple. Once the unit is powered up, press and hold the button for two seconds if you want to use the lowest temperature. The LED lights will let you know which temperature setting you’re about to take a rip at. 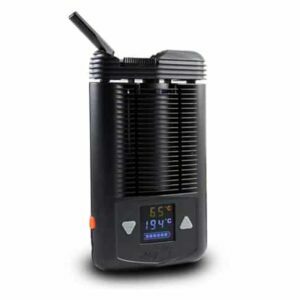 The low setting is represented by a single green light, two lights that are yellow means it’s on medium, three lights that are orange in color indicates that the device is at the medium high temperature setting, and four bright red lights let you know that the PAX 3 is at the highest temperature it can go. Rapidly pressing the ON button allows you to toggle through the 4 temp presets. To stick to one temperature setting, all you have to do is press and hold the power button. In order to ensure that each session using your PAX 3 is a tasty and enjoyable one, we recommend that you clean it after every session. The unit comes with a cleaning brush that you can use to rid the heating chamber of any caked on build up or residue, but a simple pipe cleaner will do the job if it’s not that dirty. You might want to add a small amount of alcohol to your pipe cleaner or brush to making cleaning easier and make sure you get the fullest hits possible every time. Excellent service and assistance as I had no idea what A vape was, new user here, prescribed by a doctor. I was educated and Got what was recommended and am very pleased. Will use again in the future. Thank you! Fantastic product – can’t say enough good things about the Pax 3. Stylish, solid, and effective. Definitely will be picking up the half-pack oven lid for more ‘frugal’ consumption. The PAX 3 I bought from Tools420 met my expectations. Free grinder works, but doesnt grind into a fine material for the PAX. Trying to find the store for pick-up was a bit difficult as they are located at the back of a growing supply store, but the associate was helpful when I arrived and the experience was pleasant.